Get the data you need – fast! Search products on the market or in development, to quickly get an up-to-date overview of the global competitive landscape in seconds! Obtain dynamic quarterly reporting of revenues and competitive shares by market segment. Filter by: Company, Market, or Region and download our powerful charts for use in your own presentations. Discover how your product portfolio stacks up against your competition. 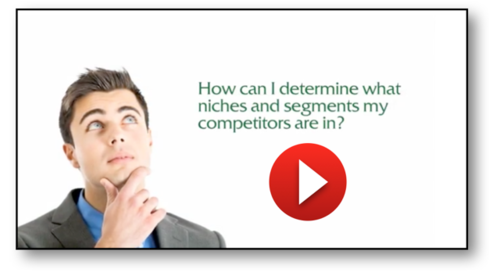 Find companies to fill gaps in your product offering. Identify prospective targets for M&A and new product developments with a real-time visual map of the competitive marketplace for the US and OUS markets.